Ontario immigration has held a new draw focused at business applicants through its Ontario Entrepreneur Stream. The Nov 23 draw observed 15 invitations announced for Ontario immigration and the least score of 112 points. 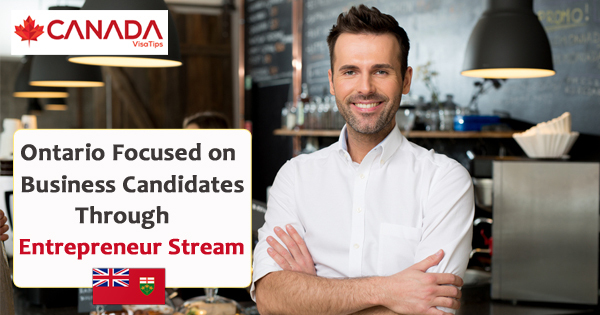 The Stream of Ontario Entrepreneur is one of 02 business categories performed by the biggest province of Canada, and the next stream is Ontario Corporate Stream. It was the tenth draw of the year 2018 beneath the Ontario Entrepreneur Stream, with a sum of 149 applicants now announced with invitations. The prior Ontario Entrepreneur Stream draw, on Oct 23, 2018, noticed the O.I.N.P issue 18 ITA's to applicants, with a 2018 year lowest score of 110. Ontario province has also started publishing information of draws below its popular streams of Express Entry, including French Speaking Skilled Worker, Skilled Trades, and Human Capital Priorities. The O.I.N.P got an extended Canadian government allocation for the year 2018 up to 6,600 nominations, which is 600 higher on the number when compared with the year 2017. Approach CanadaTips and get the assessment through our free online evaluation form to explore all your opportunities and to make 2018 as the year for Canada immigration!